Linda Burton posting from LaFayette, Louisiana traveling from Alabama to Austin, Texas – An extra day! It’s Leap Day, and I feel like I’ve been given a “breather” to settle in to the Journey. I’ve put a day’s distance between me and brother’s house, and I’ll reach the first capital city easily tomorrow – Austin, right on target. 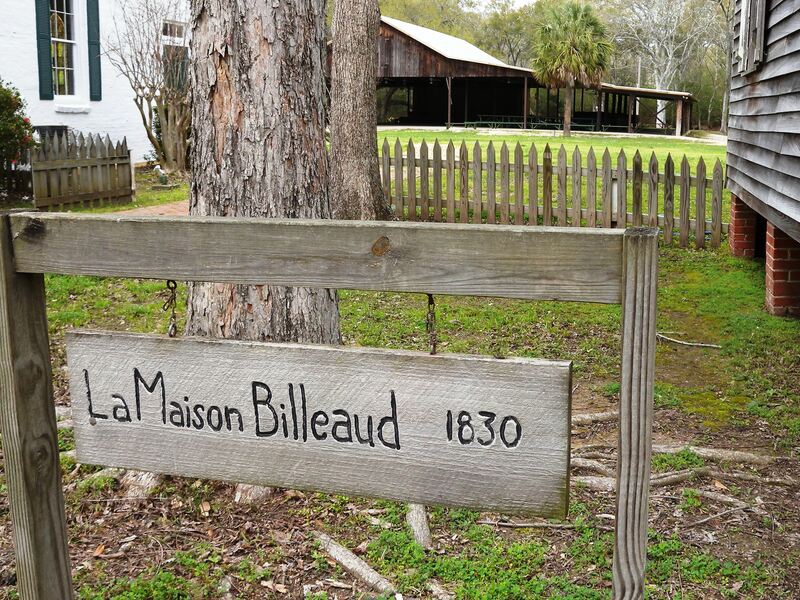 Meanwhile, today I’m in an exotic land, surrounded by bayous and alligators and a history that is romantically French, Creole, Cajun, Acadian. I wanted to immerse myself in the atmosphere of the town; move into a new mood; find some good stories. And that’s just what I did. Here’s a Leap Day story for you. In the early 1990’s I lived in Seattle and belonged to a group that regularly got together for dinner at one another’s houses; we were good friends. 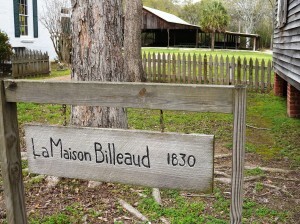 One of those friends decided to get her master’s degree so came to LaFayette to the University of Louisiana; her field of study was the development of the Acadian language. She wrote to us from LaFayette often, telling of her work and study at the Acadian Village, and the people she met in LaFayette. 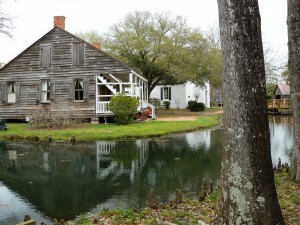 Her talk of the Acadian Village stuck in my mind; I wanted to visit someday. Since LaFayette is about halfway between brother’s house and Austin, Texas, it was a logical stop for the Journey, and today I took advantage of my place in time. I thanked him graciously and stepped inside the gate. 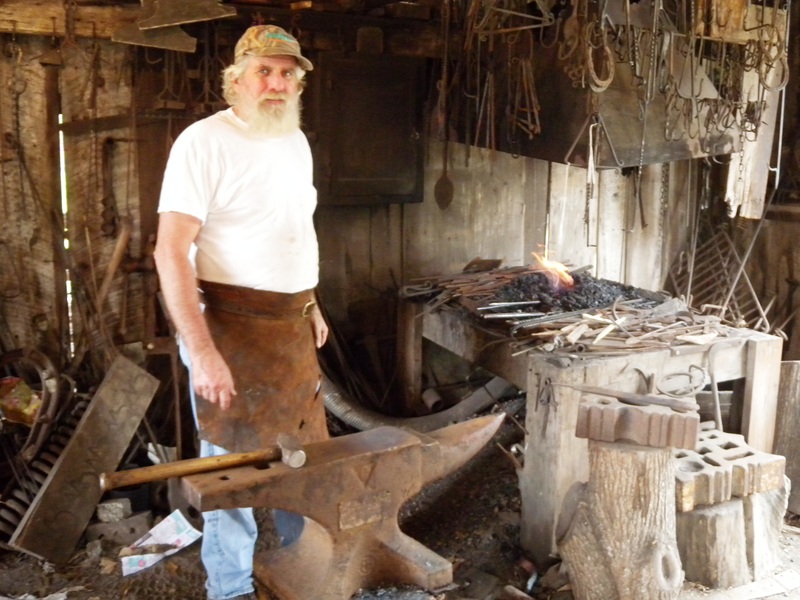 “I’m the blacksmith here,” he said, “and I’m headed towards my shop. 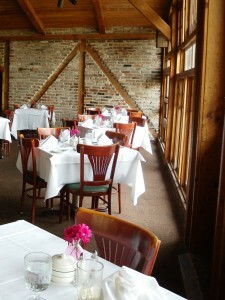 I’ll tell you about the buildings as we walk along.” A memory surfaced for me just then. “How long have you been blacksmithing here?” I asked. “About 20 years,” he answered. Now my memory bank was churning! “Yes, it was Jane!” I said, suddenly seeing her face clearly in my mind. “Did you ever come to Seattle?” He said that he did, and that he also went to be with her in Maine (I remembered she went there to study too). “Where is Jane now?” I asked. He said he hadn’t heard from her in years. We walked along looking at the ancient buildings, talking about bayous and land grants and the Teche. When we got to his shop he began pounding out a piece of iron, telling me about the classes he teaches, and the festivals they have at the Village. I asked if I could get his picture, and did. I also asked his name; he said it was Charles. I told him my name, thanked him for his time and continued my walk around the Village. In a million years, how could such a thing happen as actually meeting an old friend’s old flame, thousands of miles from where I first heard about him? If the ticket-seller had been at her post, I would not have had that conversation. I wonder where I’ll be and what I’ll find on Leap Day 2016? Meanwhile, tomorrow is my First Day of Work. About the city. 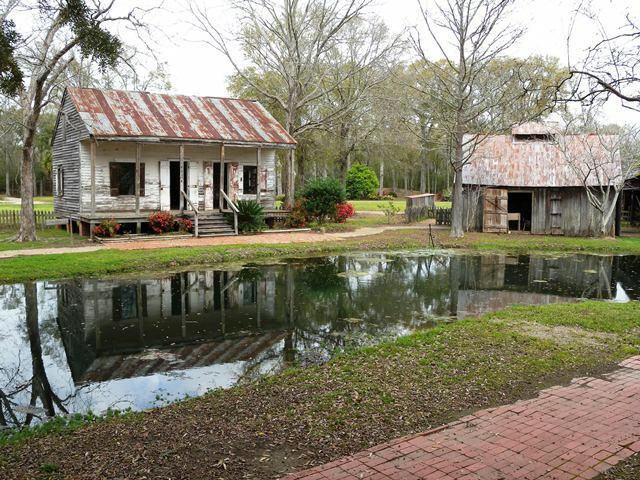 LaFayette, Louisiana is the largest city in Acadiana Parish, and has the unmistakable influence of the region’s Cajun and Creole cultures. 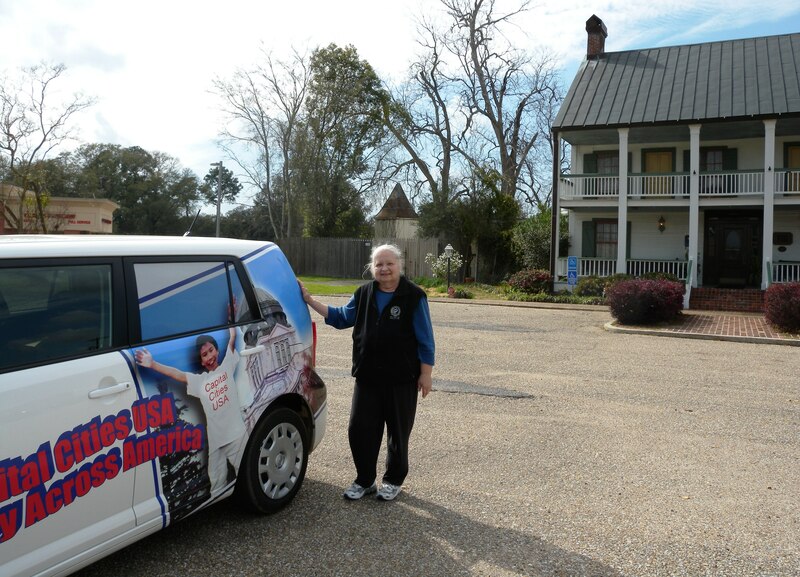 Learn about the area’s roots at the Acadian Cultural Center and Vermilionville. 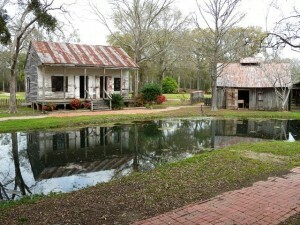 Built as 19th century bayou villages, each folk life center operates as an interactive museum. This heritage is still prominent in the city’s lifestyle and cultural traditions. LaFayette is said to have more restaurants per capita than any other American city, and many of them specialize in the distinctive, seafood-laden regional cuisine. 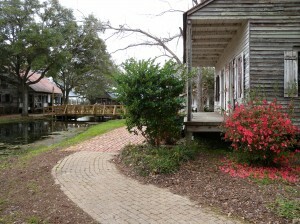 Numerous music clubs feature homegrown talent, including both traditional and contemporary Cajun and Zydeco performers. Two popular festivals, Festival International de Louisiane in April and Festivals Acadiens in October, draw many thousands of visitors to town and anchor a calendar year full of celebrations of the area’s vibrant culture.